Marvel has been fairly open about the future projects it has in store for its increasingly vast Cinematic Universe. In fact, you can view the full lineup of expected films here to get a feel for all the superheroes we have yet to see: Doctor Strange, Black Panther, The Wasp, and Captain Marvel, to name a few. The thing is, Marvel’s shown a fun tendency to not hold back in roping in supporting characters here and there, sometimes where we least expect it. And if rumors are true that 2018’s Avengers: Infinity War Part 1 could have upwards of 60 superheroes in it (Cinemablend says it may be a possibility), the studio may need to add some names to the MCU collection. Looking through old comics, one could come up with quite literally hundreds of possibilities. But most are very unlikely to be added to the MCU, either for specific reasons regarding the stories at hand or because they’re too obscure. A handful, though, make perfect sense. These five in particular look like feasible additions. The creative folks at Marvel have remained pretty adamant about not giving the Hulk another standalone film. However, the character has become such a fan favorite in Avengers movies that it stands to reason he and his background will be fleshed out a little more wherever possible. That process will reportedly begin in Thor: Ragnarok, a 2017 film that Bruce Banner actor Mark Ruffalo has described as “a Universal road movie” with the Hulk and Thor. That certainly sounds like we’ll be delving into the Hulk in a deeper manner than we have yet, and usually when Marvel zeroes in on a character, we get a few side characters as well. 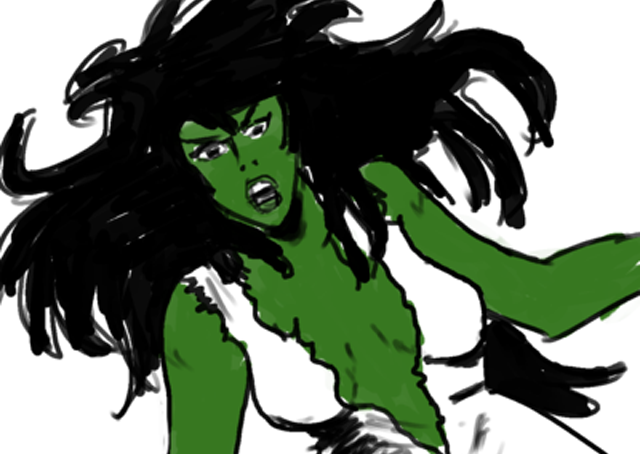 She-Hulk is a pretty popular comic hero and the obvious choice for an additional Hulk-related character, so this idea seems to fit. Agent Venom is essentially a different version of Spider-Man villain/maniac Venom, but with a more grounded origin story that’s perhaps more typical of the MCU. Basically, he’s a soldier who accomplishes some serious heroics but is horrifically wounded in the process. He ultimately becomes a military healing test subject, is treated with the same nasty substance that creates Venom, and voila: Agent Venom, a dangerous super soldier. The MCU’s new Spider-Man (whom we’ll be meeting in Captain America: Civil War this spring) needs a villain, and Agent Venom could be a really fun option. He also might be the likeliest choice, given that he recently showed up in an update for Marvel’s most popular mobile game. That may not sound significant, but the same game has become known as a sort of system of announcements for Marvel. It advertised Ant-Man and Deadpool ahead of their respective film releases, welcomed Elektra right around the time the character was announced for the second season of Daredevil, and just recently introduced an Old Man Logan character right as rumors began circulating that the next Wolverine film could incorporate the Old Man Logan storyline from the comics. Perhaps Agent Venom’s presence means we could catch a surprise glimpse of this character as soon as this spring. Blade is one of a few Marvel characters who actually made it to the big screen before the MCU got started. 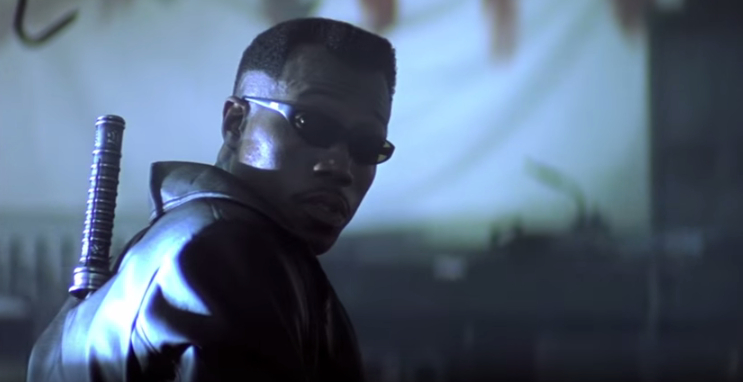 Fans will recall that the role was played by Wesley Snipes in a trilogy from the late-’90s and early-00s. Those films didn’t do particularly well with critics, but they did establish something of a following among some comic book fans. Now, over a decade after the final film in the Blade trilogy was released, it suddenly seems as if this half-vampire superhero may be the likeliest MCU addition that hasn’t actually been confirmed. If these rumors are to be believed, Snipes himself is in talks to reprise the role, this time directly through Marvel Studios rather than New Line Cinema (who distributed the last Blade films). It’s hard to imagine a particularly logical fit in the MCU, but stranger things have happened. Comic book movie fans have grown used to the idea that Hugh Jackman is just about done as Wolverine in the X-Men movies. However, there have previously been some hints that Jackman could make the leap from 20th Century Fox to Marvel Studios so that his character could join up with the Avengers. This is something we’ve seen in comics, so even if it may seem bizarre to modern film fans, it kind of fits. There’s also a small chance that it’s been hinted at. As mentioned, Marvel’s video games can sometimes provide announcements or indications regarding the MCU, and as it happens this site’s casino table games include a Marvel roulette option that speaks to the idea of mashing up branches of Marvel cinema. Likenesses of Iron Man, Captain America, Spider-Man, and Hugh Jackman’s Wolverine all appear on the cover, and the game’s description reads, “imagine sitting down at a table with all the greatest superheroes of our time: Spider-Man, Iron Man, Thor, and Wolverine.” Perhaps it’s just a roulette game, or perhaps, like the app discussed with regard to Agent Venom, it’s offering a sign of things to come. 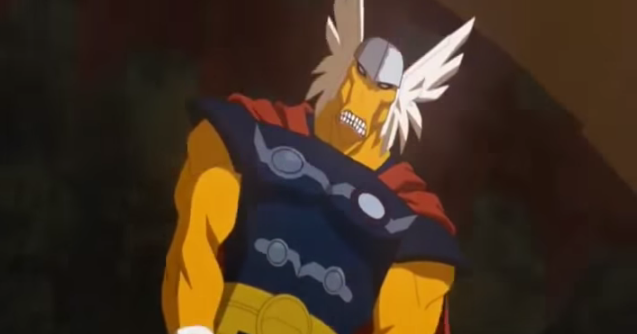 And then there’s Beta Ray Bill. For those who are unfamiliar with the wilder side of Thor comics, Beta Ray Bill is basically a semi-unexplained horse-god (meaning he’s kind of a man with a horse head) who obtains a replica of Thor’s hammer. Though they have their differences, Beta Ray Bill and Thor wind up being allies in the aftermath of Ragnarok’s assault on Asgard. Truthfully, Thor and his Asgardian fellows have been fleshed out pretty well already. And if it’s true that Hulk (and maybe She-Hulk?) will play a big part in Thor: Ragnarok, there may not be too much need for additional superheroes. But if there are heroes added to the fray, Beta Ray Bill ought to be at the top of the list. Again, this list could go on to include hundreds of Marvel heroes we’ve yet to see on the big screen, but these five actually make a lot of sense for upcoming MCU projects. Credits to the images and videos used in this post go to Marvel, Disney, and/or to their respective owners. I do not own these materials. No copyright infringement intended. Next ArticleEnjoy Unlimited Pancakes in IHOP’s National Pancake Day! Hear Bradley Cooper as Rocket Raccoon! Three Guardians of the Galaxy Teasers Released!